An ideal location just a brief walk to the terminal, quick and easy barrier access and complimentary use of the security Fast Track lane for up to 4 people makes Premium Short Stay the ultimate car park for a smooth, swift departure. Number plate recognition makes accessing the car park after booking online simple and efficient. Park in the widest spaces of any of our car parks, and you’ll only have a short walk to check-in before reaching departures even sooner when you join the dedicated Fast Track lane. Follow the Premium Short Stay car park signs from Whitehouse Lane. Access to the car park is through the first barrier on the left. The postcode for the car park is LS19 7UA. See our parking map here. The Premium Short Stay car park is a 1-2 minute walk to the terminal. Follow the pathway from the top corner of the car park. Passengers can also turn up and park at our Premium Short Stay car park on the day of travel. Spaces are subject to availability so we recommend booking online to guarantee your space. Great option when you have to get going with your travel quickly! Are groups welcome in our airport lounges? Groups with a maximum of 8 guests (including at least 2 children under the age of 12), or a maximum of 6 when guests are all adults, can book online. If you'd like to enquire about making a lounge reservation for a larger group, please contact us. Do you have job vacancies at the airport? We employ in a variety of business areas and jobs are also available with our partners. See a list of current vacancies on our Careers page. Where can I go to view the runway? 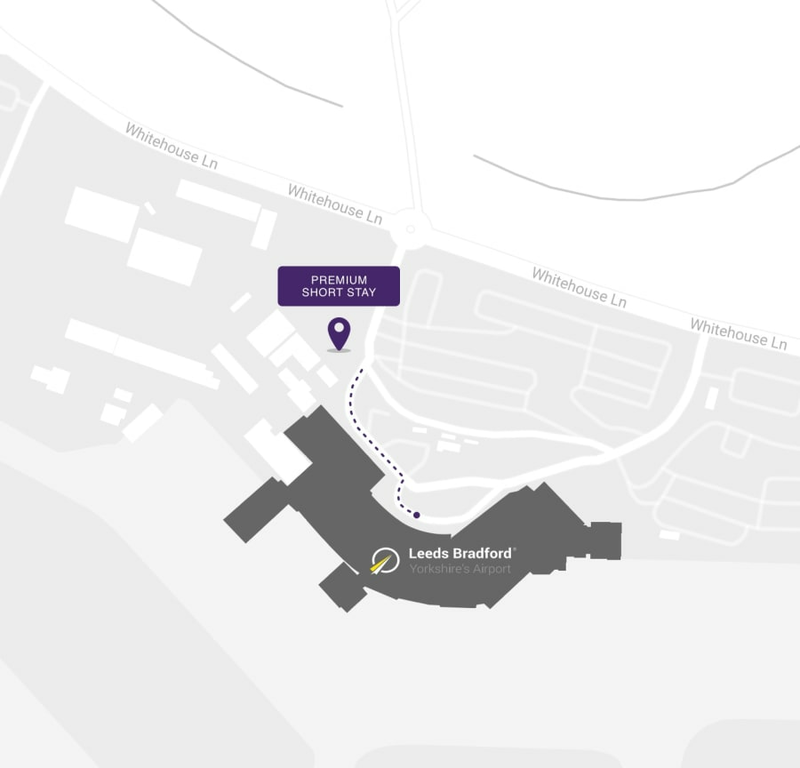 When you’re travelling from Leeds Bradford Airport, you can enjoy full length views of the runway from our airport lounges or partial views from The Camden Food Co. located on the first floor after security. Do infants and babies need a Fast Track ticket? Children under 12 can access Fast Track with a paying adult. In the case of one adult travelling with more than one child, a ticket would then be needed for each additional child. What do the flight paths look like? Noise Preferential Routes (NPR’s) are in place for departing jet aircraft and were developed as a performance route to direct departing jet aircraft over the least populated areas. All departing jet aircraft are required to follow the NPRs, however, sometimes this may not be possible due to weather conditions or conflicting traffic. In addition, turboprops and light aircraft are exempt from the NPR. Why do we need a Noise Action Plan? The Noise Action Plan is a legal requirement under the Environmental Noise Directive (END) (2002/49/EC), relating to the assessment and management of environmental noise. The END was transposed into English law by the Environmental Noise (England) Regulations 2006 (as amended).